Elgin Arts Association holds annual events to showcase artists in and around Elgin. 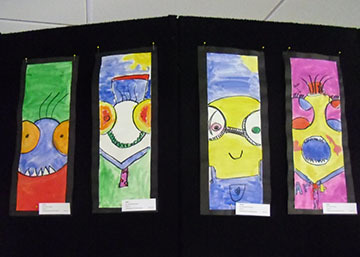 The Pearls of Youth Art Show for young artists is held in the spring. The creativity and skills shown in the youth show have amazed and impressed the community every year. This year's show will be Saturday, April 13, 2019, from 11 a.m. to 5 p.m. and Sunday, April 14, 2019, from 1 p.m. to 4 p.m. at The Clever Tiger, located at 32 N. Main St., Elgin TX 78621. Caleb C receives a prize of art supplies for his winning middle school entry at Pearls of Youth 2016. Young artists show get to compete in a real art show. The Elgin Arts Association is a 501(c)(3) non-profit corporation.